For many sports fans, Christmas is synonymous with the NBA. The day is almost a celebration of sorts for what the NBA has to offer. It’s biggest stars normally play and one of its most well known franchises, the LA Lakers, have been a fixture on the day since forever. While we are busy watching the games, the day also provides us a chance to examine it’s new boss, Adam Silver. Adam Silver took over as commissioner in February. During his short tenure he has been faced with some serious issues including the Donald Sterling matter and an op-ed he wrote in the New York Times where he endorsed the legalization of sports gambling in the United States. Donald Sterling provided a quick proving ground for Mr Silver who acted swiftly and decisively. He banned Mr Sterling for life, fined him and forced the sale of his franchise. It was crisis that Mr Silver couldn’t have handled any better. While not perfect, his moves were decisive and they moved the NBA past this incident as quickly as possible. Last month Mr Silver wrote an op-ed endorsing the legalization of sports gambling in America. A move that is bold and likely to draw significant push back from various interests. Mr Silver’s motives should be pretty clear, other parts of the world make sports betting very convenient (see the UK) and legalizing it in this country would bring millions to state coffers and probably increase engagement in all sports. It’s also not like this isn’t already happening with Fantasy Sports. DraftKings.com and others are really just legalized sports betting but since you are not directly betting on games they sidestep just about most legal issues. 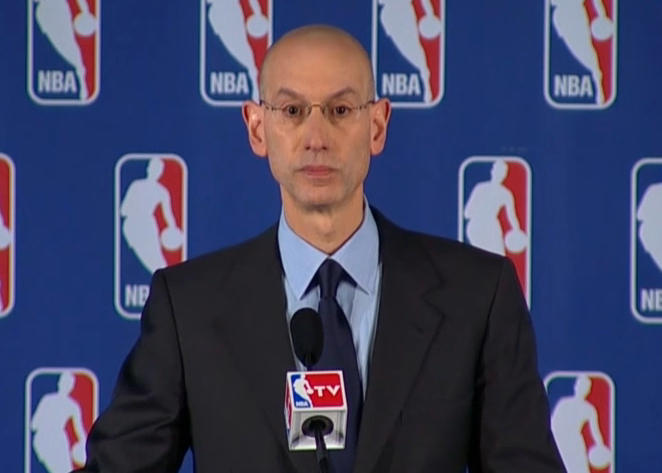 Adam Silver has made his presence felt in his short time as commissioner of the NBA. He has been bold, decisive, and unapologetic. He is a breath of fresh air in the era of the ‘my or the highway’ sports leaders like Roger Goodell and Dana White. We can only hope that he proves to be the example of what a commissioner should be moving forward.